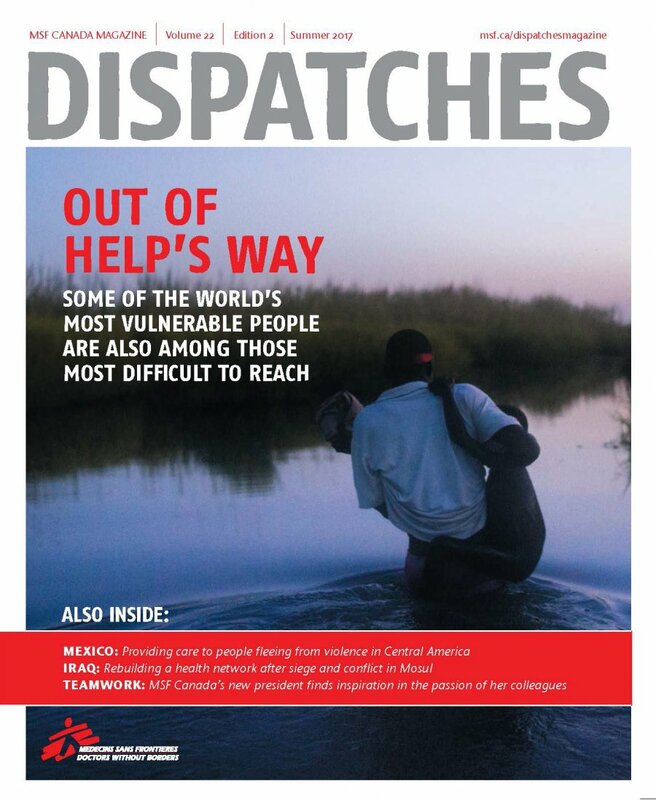 Dispatches is Doctors Without Borders/Médecins Sans Frontières (MSF) Canada's official magazine. In it, we bring you stories and updates about MSF's lifesaving work, as seen through the eyes of our staff, our patients and our donors — and especially from the perspective of the many Canadians working on the ground with MSF around the world. Dispatches is published twice annually as a print and digital magazine, but new stories and articles from MSF Canada are continually added throughout the year online. Follow the links below to see our latest content.